For Jewish biracial teen activist, poetry is power, heritage is strength – J. 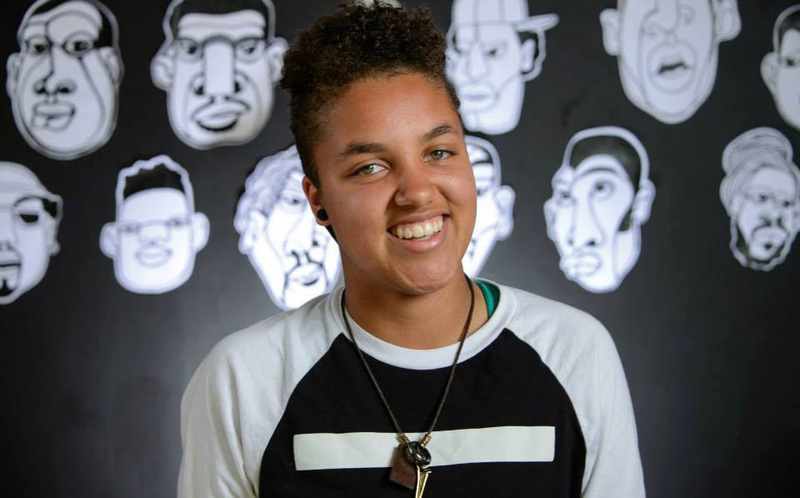 2015 Oakland Youth Poet Laureate Tova Ricardo has won multiple scholarships from the S.F.-based Jewish Community Federation. Since I was young, I have pondered the social connotations of my blackness and my Jewishness in a divided society and how to embrace the beauty of my identities. I was born and raised in the San Francisco Bay Area under the guidance of two socially aware and cognizant parents, one who is a Louisiana Creole Catholic and one who is a biracial Ashkenazi Jew. As I developed along with my youthful curiosity, I found a troubling unease with the tension between my racial and religious identities. 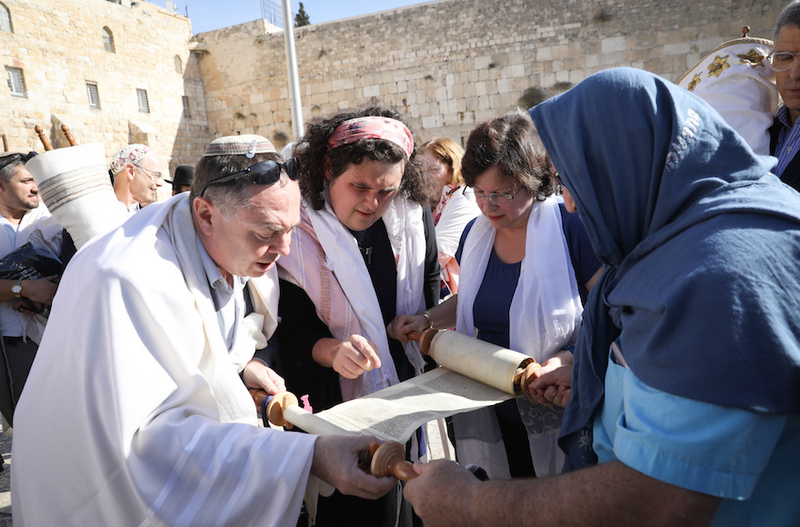 I did not understand why my swaying to “Hine Ma Tov,” occasional davening in tear-filled pleas to HaShem and my routine vocalizing of old gospel songs was not represented elsewhere in mainstream society. As a young child, it is quite difficult to grow into yourself when there are minimal examples of your experiences and perspectives broadcasted around you. Growing up in a black, interfaith family has provided a fair share of self-exploration and contemplation. In search of answers and satisfaction, I delved deep into the two faiths in order to find mental and religious stability for myself. As I appreciate all of the stories, lessons and attitudes ingrained within me, which molded my well-rounded and accepting view of the world, Judaism is where my heart flourishes. The blend of my African American and Ashkenazi Russian ancestry serves as a roaring vehicle fueling the rise of my fist against intolerance and complacency. I hear the stories of my great-great-grandmother who escaped war-torn Russia for refuge in a new nation. I internalize the tales of my paternal grandparents moving from the South to California after experiencing overwhelming racial prejudice. I do not have the privilege to be an ambassador for sideline activism, for I see television news stories highlighting the bodies of my black brothers and sisters as unpatriotic and worthy of annihilation. I fear the final hour of a fellow friend or family member encountering the fury of the police and snatched from this world. My Magen David, strung around my neck, is my symbol of defiance. My Magen David, strung around my neck, is my symbol of defiance. My natural hair is a resistance against the chemicals attempting to burn away my heritage. My kippah, Yiddish tongue and Black Panther hoodie address my rebellion against anti-Semitism, anti-blackness and inequality. They are reminders of the promise to continue my fight for those struggling today and the next generations. For the future revolutionaries, I continue to speak, to pray, pronounce my poetry as a mechanism for healing and a dialogue against the dangers of the day. I balance our bonds upon my fingers and hands as they awaken the sky. I have no other choice than to demand the disruption of institutionalized enslavement, subjugation, social degradation and second-class citizenship. The true colors of America have been revealed in the 2016 U.S. presidential election, showing the hidden racism embedded in our nation’s extensive history. We cannot stand amid this alone, borrowing posters and phrases for a singular period of time, or participate in one protest or a march with an unspecific message. Our safety is on the line. There are synagogues and black churches finding bullets shot through stained-glass windows and pews, small pellets originating in the hands of heinous hearts. I have grown too close to Torah to toss its messages of service and kinship away in the name of fear or doubt. Broken down before rabbinical text, I plead for answers to descend into my Kiddush cup so I may drink the wisdom brought forth to me. I realize now that we will not be handed simple facts or endearing conclusions to injustice, as the world has been engulfed in the flames of animosity. The privilege to speak, to be able to mount my voice as the youth poet laureate of Oakland is a great responsibility. As a Jewish poet of color, I believe it is my duty to unravel stories and magnify their concealed truths. No one will fight for us but us. No one will stand against the poison of bigotry but the masses of our souls. I will not shriek and hide, for this nation was built on the backs of my people. The Russian immigrants and Creole workers in my blood bring me to the stage, to the classroom, to the streets, to the page, as their strength is the fire I rip through stanzas with. I will not pardon the presence of a ruthless tyrant holding orders in my face. I stand undisputedly whole in community with the young poets, artists and changemakers of the Bay Area, those enhancing their unbroken promises of resistance against the common order. I am not alone in this time of terror for the Lord knows this is not the beginning, and surely not the end. Regardless of our backgrounds or beliefs, we must continue to recite, present and demonstrate our stories in order to inspire others to battle against injustice. We can never forget our history and the hardships our ancestors went through in order for us to exist today. There is no reason to be satisfied, because if one person is threatened, we all are. We must restore humanity and end the warfare on marginalized people. This essay appeared at My Jewish Learning as part of the blog Jewish& by Be’chol Lashon, a San Francisco-based organization advocating for Jewish racial, ethnic and cultural diversity. 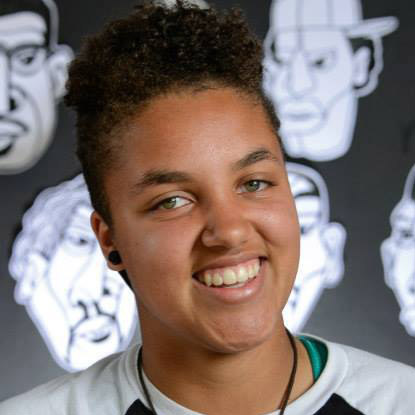 Tova Ricardo is the youth poet laureate of Oakland.